Home > CoastExchange > Feature Articles > What on Earth is Blue Carbon? Perhaps more appropriately the title of this post should read ‘What in the Ocean is Blue Carbon’, because that is where it is. Blue carbon is the carbon that is stored naturally by marine and coastal ecosystems, including by coastal ecosystems — mangroves, seagrasses and tidal marshes. Blue carbon is important because the release of carbon into the atmosphere is a major driver of climate change, and because blue carbon ecosystems hold a LOT of carbon — a given area of mangrove forest, for example, can store up to 10 times as much carbon as the same area of land-based forest. Unlike terrestrial ecosystems, carbon stored in coastal systems can remain trapped for a long time. Low-oxygen conditions in the soil below the water can lock in carbon for centuries to millennia. So, chopping down mangroves is a bad idea. Mangroves are exceptionally effective at absorbing carbon from the atmosphere and storing it in their extensive root systems and their soil. Once you kill those trees, or if you disturb the ground below them, their carbon is slowly released back into the atmosphere. Mangroves are so efficient at keeping carbon dioxide out of the atmosphere that when they are destroyed, they release as much as 10 per cent of all emissions worldwide attributable to deforestation - even though mangroves account for just 0.7 per cent of the tropical forest area. In most cases, people who live on coasts are the ones who will suffer the most from mangrove destruction, because of the associated loss of biodiversity, fish breeding and coastal erosion protection. 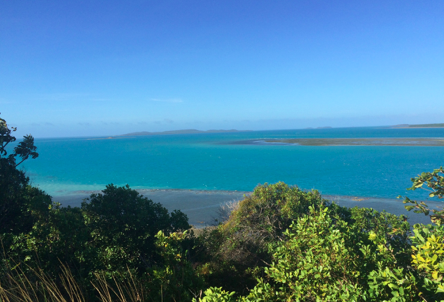 Conservation International created ‘Blue Carbon’ to address the decline in coastal ecosystems. 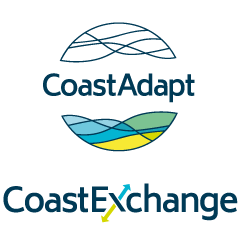 It is a global program working to mitigate climate change through the restoration and sustainable use of coastal and marine ecosystems. What coastal ecosystems are present in your region? Can you find any information on changes to these ecosystems over time? Coastal blue carbon ecosystems are some of the most threatened ecosystems on Earth, with an estimated 340,000 to 980,000 hectares being destroyed each year. (Image: Rohan Hamden).